Hi there, if you were already bored with fashion, let’s take a look at some durable and useful necessities— luggage! Samsonite, the brand I would like to introduce, has been extremely popular worldwide. 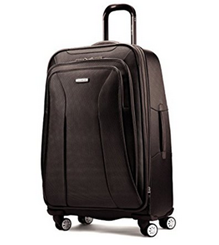 Founded in 1910 at Denver，Samsonite has been well-known by its high-end manufacturing and user-friendly design. In terms of the durability and functionality, the luggage of Samsonite are proved to be an excellent choice for the people who constantly travelling around. 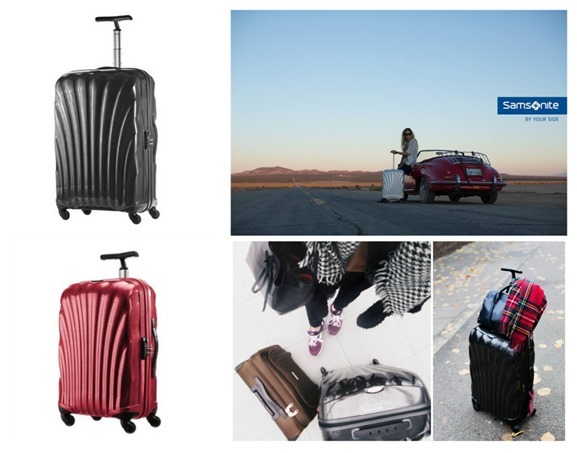 By far, even though Samsonite is already one of the leading brands in the luggage industry, it is still pursuing innovation and product advancement. Every year you can see its name appeared at the headlines of many global awards: Red Dot Best of the Best, 1F Design Awards and so forth. How great its suitcases will be? 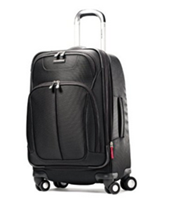 Initially, all of them feature multi-directional spinner wheels that allow 360 degree rolling. This is an extremely necessary attribute when you carry a huge suitcase. Also, every luggage comes with a TSA Lock recognized by IATA. Not only it ensure the security of you stuff, but also prevent the unwanted examination to break your lock. 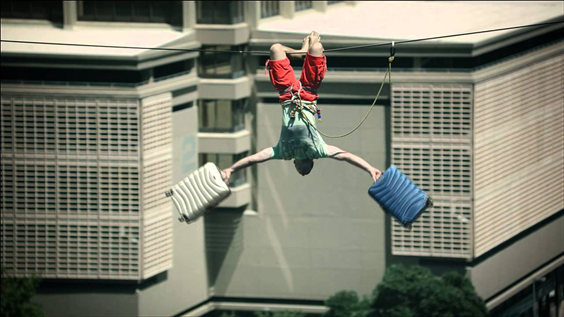 The most important thing is, Samsonite is super durable. They have warranty services all over the world. All products have at least 3-year warranty. The hard-side suitcase must fit with your taste of fashion. Made by ABS/polycarbonat，it can absorb the external stress ,while keep the suitcase in a good shape. Each spinner come with a spacious, zippered main compartment with elastic cross-straps that hold everything in place, plus a zippered lid compartment for keeping your bath accessories. Getting your best travel company by owning this Black Lable Firelite Spinner. For the slightly higher price, it is made with Curv® material, which means you are receiving the lightest, yet the strongest suitcase among these samsonite series. Zippers are covered by water resistant PU. The shell design is quite stylish as well. Another collection from Samsonite — Cosmolite Spinner, is using the similar features and technics. 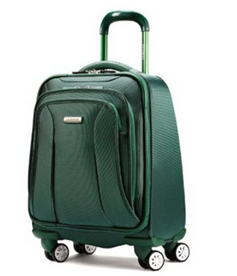 Conversely, the softside type of luggages seems ordinary, but they are sometimes unble to carry more stuff. The Hyperspace Spinner featuring the multi-directional dual spinner gives you maximum flexibilty. User-friendly interior design provides you multiple mesh pockets that increase your organization. Smaller enough to be carried on when borading. Yet still spacious to allocate all of your neccessities. A shrink version of above, it also features the mesh interior organization. Less does not mean more, but means well-organized! Sectional pockets even increase your organization. It is able to fit under the airlines seats. This backpack is checkpoint friendly. It has seperate pocket to hold your iPad, Laptop, and even for your small neccessities like pens and cellpone. The large main pocket in the middle can store your books, clothes and cords. Ideal for a short-term trip of businessmen. Spotted in a Korean TV show. A brand new semester is just about to begin! 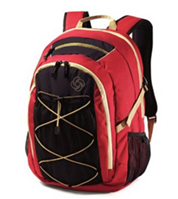 Looking for a functional backpack for your campus life? There it is! 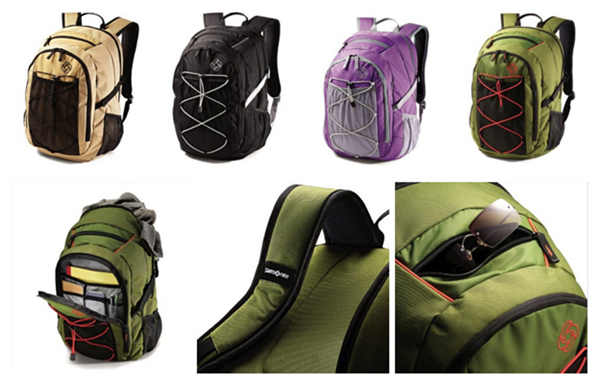 The Merlin Backpack has large main compartment. 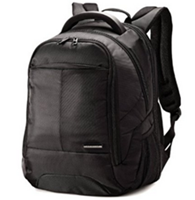 The padded shoulder strap release you from the weighted and uncomfortable feeling when carrying it around. Well-organized panels keeps your small items like pens and school supplies in the right direction. Also, the mesh pocket in the front is great for your beverages. 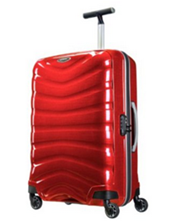 There are various luggage sets that contains a series of suitcase at Samsonite.com, which fits in your different occassions! What a deal!